Translation management systems automate the process of translating text from one language to another. .These systems aim to maximize global content and minimize the need for manual processes by automating basic tasks throughout the translation process. These products are used by translation service providers and companies with internal translation resources. Translation management systems assist in the localization of marketing or products themselves to customize global content to specific regions. Translation management systems span the entire lifecycle of a translation text; from inputting the source text to distributing the finished target text, these products serve as a central translation hub for organizations to track and collaborate on translations. Translation management systems often integrate with machine translation software and computer-assisted translation software, and many may also integrate with enterprise-content-management tools as well. Translation Management reviews by real, verified users. Find unbiased ratings on user satisfaction, features, and price based on the most reviews available anywhere. Smartling’s Translation Management Platform is an end-to-end solution for digital content translation designed to simplify and streamline translation by eliminating 90% of the manual processes and costs associated with localization. Smartling’s advanced technology centralizes global content in the cloud and integrates seamlessly with any tech stack to provide visibility through a centralized workplace and deploy flexible workflows that enable team efficiency and ensure translation accuracy. View our solution in action - take a look at our Smartling 101 demo: info.smartling.com/101 Ultimately, Smartling accelerates translation, improves quality, and reduces cost, giving you complete control to efficiently manage localized content across any number of languages. With Smartling’s solution, brands gain complete transparency to manage multiple translation projects and measure the total ROI — increasing revenue through relevant content. The platform provides flexible translation options, allowing brands to work with their preferred resources or access Smartling’s professional network of translators. 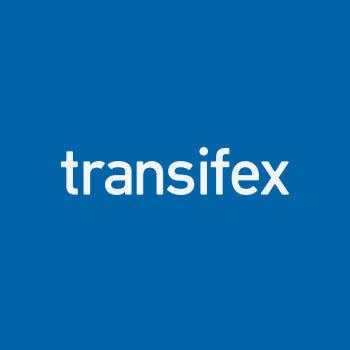 Transifex helps companies - from Startups to the Enterprise - go global. With our SaaS-based Translation and Localization Platform, organizations can easily translate digital content such as websites, mobile apps, games, video, help centers, subtitles, and more on a continuous basis. Leading companies including Atlassian, Eventbrite, Salesforce, HubSpot, Waze, and Microsoft rely on Transifex to achieve a truly multilingual, international presence. Give Transifex a try with our free 15-day trial, or connect with one of our team members for a personal demo: www.transifex.com/get-started. PhraseApp is a translation management system where localization teams come together to release translations faster and easier than ever before. Bring it all together: Manage your localization on a single platform and collaborate with your whole team online to create a better localization experience for everyone. Adjust quickly: Cut your turnaround times in half right away. No more cumbersome manual translation file integration. Improve quality: PhraseApp provides a variety of features designed to improve your translation quality and consistency, such as a Glossary, Translation Memory, In-Context Editor, SmartSuggest, and many more. Integrate easily: By providing a variety of integration possibilities such as PhraseApp’s API, Over the Air, and GitHub Sync, you can easily integrate the platform into your workflow. Keep it simple: PhraseApp’s API is designed to fit all software localization processes. You can easily import locale files, download locale files, tag keys or interact in multiple ways with the localization data stored in PhraseApp through the API. Coordinate your team: Organize all your translation tasks by assigning team members and seeing due dates to the locales of your choice. Modern localization and translation management system designed to make the translation process of digital assets like iOS, Android, web, games, IoT and software in general more approachable for all the stakeholders that may be involved. Including but not limited to developers, product owners, and translators. Includes: - web-based collaborative editor with cross-platform projects and keys - duplicate merging and elimination, API/CLI tool - numerous integration plugins - iOS and Android SDK for instant over-the-air text updates bypassing the App Store and Google Play - integrations with the most popular platforms like Sketch, Trello, and Zendesk - in-context editors for mobile applications and websites and much more! 50% of clients translate with their own teams, 50% place orders for professional translations from our partners who work in 90+ languages. Whichever option you choose, Lokalise has got you covered! Crowdin is a localization management platform for projects of any type and size. Whether it’s a one-page web app or a constantly improving game Crowdin is a solution you are looking for. Get your product speak the same language as your customers by ordering translations from qualified translators. Choose from various translation agencies within Crowdin or bring your own translation team. In any case translators, proofreaders and managers would find it easy to work in Crowdin. To speed up the localization process use various features offered Translation Memory, Screenshots, In-Context, Machine Translations, Quality Assurance checks, Reports, Tasks and more. Integrate with GitHub, Google Play, Android Studio and various other systems to reach automation. For more information visit the website. Translate provide a solution that helps enterprise companies establish brand presence on a global scale with a focus on personalizing the customer experience. memoQ server is a full-fledged enterprise translation management system (TMS) that comprises a repository for your translation assets, a control center for your translation projects and a hub for collaborative translation projects. It is the No.1. choice for: •	Buyers interested in exceptional translation productivity & quality in a collaborative and highly controlled environment •	Content owners with complex/custom integration requirements (content management systems, machine translation, etc.) •	Startups looking for scalable solution for their language management along with their evolving global presence and language coverage •	Technology companies with agile localization workflows – to automate project management and cope with frequent updates •	Language service providers that receive localization packages from multiple buyers in different formats and want to process them in a single interoperable system. memoQ server incorporates the wide set of translation productivity features of memoQ translator pro, the beloved CAT-software of professional translators around the world. The license structure of memoQ server makes that translation productivity available throughout the entire vendor chain; while with CAL-licensing server users can save 3-5-times of their investment in required licenses. For smaller teams and basic requirements memoQ server is available in the cloud. For more complex applications memoQ server can be deployed on a hosted server or on-premise; with expert implementation assistance. Lilt is a complete, high-quality solution for enterprise translation. By offering the first machine translation engine that continuously learns from human feedback, Lilt helps enterprises increase translation speed and quality without spiking costs. GlobalSight is an open-source Translation Management System (TMS) that automates, streamlines, and manages the localization process. POEditor is a collaborative localization platform, suitable to manage software translation workflows of all sizes. Website localization, app localization, games localization - all these can be done better with the localization management platform POEditor. You will decide who gets what role in your localization process, while improving your translation workflow with powerful automation features and an intuitive translation interface. POEditor was founded in 2012, and was built to meet the rising demand for flexible software localization tools. Thanks to the invaluable feedback provided by our users, it has greatly grown and evolved and continues to do so. Wordfast LLC is the worlds second largest provider of Translation Memory software solutions. Manage. Translate. Save. Wordbee offers fully scalable cloud translation management technologies for Enterprises as well as LSPs, and freelancers. Our products blend translation management and computer assisted translation with powerful project management functions providing a complete feature set to centralize and manage your translation projects. Wordbee Translator (TMS & CAT platform) combines project management with advanced business analytics features that enable to monitor a wide variety of KPIs in your translation projects and forecast costs, dates and workload. Wordbee Beebox (CMS Plug-in) adds translation capabilities to CMSs, FTP date feeds, games, databases or code repositories. Beebox cuts localization project workload by 50% putting emphasis on automating and streamlining the translation process instead of individual file handling. Thousands of language professionals daily use Wordbee in 174 countries to translate and localize their content. For more information about Wordbee Beebox, Wordbee Translator or a custom software development, please visit www.wordbee.com. Plunet is the provider of Plunet BusinessManager, a leading business and translation management system. Poedit is an editor for translating apps and sites. Protemos is a functional translation business administration system that provide project, vendor and client management, finances, documents generation, files storage and business reports for freelance translators and translation companies. Text United simplifies translation of product and business content by connecting directly with its source, automatically matching duplications and similarities and automating translation management in a consistent, chaos-free process. Companies writing content, technical documentation and producing software will benefit from the re-use of old translations, faster deliveries, decreased translation costs, and the ability to streamline translation management. Your product deserves a global audience. SDL is the leader in global content management and language solutions. The Translation Management Tool (TMGMT) module provides a tool set for translating content from different sources. XTRF Management Systems Ltd. provides services in the areas of distribution, sales, and technical support for XTRF. Cloudwords lets you translate anything faster and better. GlobalLink enables organizations to streamline the localization process for all business needs. An IBM Cloud service enabling developers to integrate machine and human translation into their DevOps infrastructure. Since 2000, LanguageWire has built a reputation for delivering quality multilingual content and superior technology solutions. Today, we enjoy a leading position amongst language service providers worldwide. When using LanguageWire’s online platform, customers have access to a global network of over 5,000 language experts, including translators, proofreaders, copywriters, DTP engineers and voiceover artists. In short, LanguageWire helps businesses reach their global audience by speaking their language. Qordoba’s Content Intelligence platform applies AI to help digital teams take control of content and produce an impactful copy at scale. Qordoba combines a fully integrated content manager with Content AI—Qordoba’s industry-leading NLG and emotion detection technology—to ensure that user-facing copy stays on-brand, up-to-date, and error-free. Companies like VISA, Marriott, and Postmates use Qordoba to relieve engineers of copy management duty and put better words in their products, improving digital experiences for millions of users. To learn more about the Qordoba platform, please visit www.qordoba.com. For more information visit sdl.com. Weblate is a free web-based translation tool with tight version control integration. It features a simple and clean user interface, propagation of translations across components, quality checks and automatic linking to source files. XTRF is one of the most popular and fastest growing management systems for translation agencies and corporate translation departments. The system has been on the market since 2004 and has now been applied by several hundred companies worldwide to improve performance and increase efficiency. We translate, localize and internationalize leading tech brands. We can set up continuous localization workflows to ensure fast and constant localization updates. We also offer on-device or in-situ testing of apps, games, websites and more to ensure everything looks perfect in all languages. AuditMe is a localization audit systemfor localization consumers it has an intuitive user interface that gives user the ability to automatically rank different segment changes for errors and severity. BaccS is a translation management software that helps to manage projects and jobs, issue and track invoices, send payment reminders, generate reports, and customized reports. Cloud-based website translation technology platform, 1st prize on the international How-to-web competition, used by the largest Language Service Providers in the world. Our suite of cutting-edge platforms lets you orchestrate a vast network of experts, tools, and partners that make it easier for you to do your job. 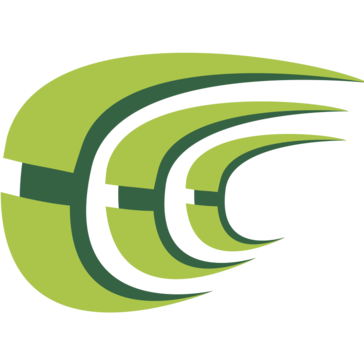 GliderPath is a comprehensive workflow management tool created by and for translation project managers. Language Business Solutions (LBS) provides a Translation Management System (CRM+ERP) dedicated to Language Services Providers (LSP). LBS Suite is one of the most powerful Translation Management System gathering altogether a complete CRM and an efficient ERP dedicated to translation companies. LingoHub is a tool to automate and optimize your translation workflow. Lionbridges proven SaaS delivery platform enables you to get up and running easily and quickly. 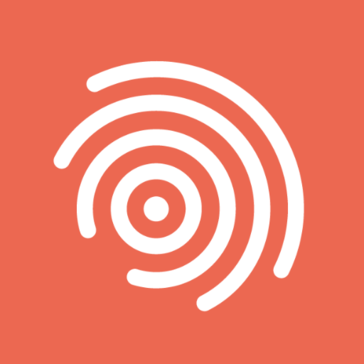 LocaleData is a translation management platform to localize Ruby on Rails apps. Bridging the gap between translation and development. No more delays in shipping your software because of missing translations. The translations are managed in your locize project and published from there to the locize CDN to be consumed from your application. The localization team can take care of the translations from the first day and keep up with changes with ease. The processes are separated. Translations can be updated without the need to release an update of you app. Further you keep full overview about what is translated and what not, even more if you order translations from the integrated translation providers you also keep track of your open orders. And even if you decide to export and import translations from your project you never loose control as the tooling helps you when merging by showing you all the changes that are made with a nice diff. Hi there! Can I help you find the best Translation Management solutions?